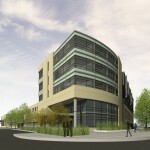 Two controversial development projects received key approvals at the January 19th, 2011 meeting of the Common Council. 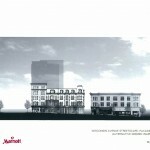 First, the development team for the $50 million Marriott Hotel project, which will be located near the corner of E. Wisconsin Ave. and N. Milwaukee St., won an appeal of the Historic Preservation Commission’s ruling that would have required a 15 foot setback for the upper floors of the building. While the facades of some buildings along Wisconsin Ave. will be preserved or restored, this essentially approves the demolition of five buildings located in the East Side Commercial Historic District. The 200-room hotel being developed by Jackson Street Management LLC is expected to create 200 permanent jobs. It is being financed through the foreign investment via the federal EB-5 program, and if granted will utilized New Market Tax Credits. Alderman Nik Kovac discussed how the Historic Preservation Commission actually moved the process along quickly saying it moved “more quickly than your own front porch.” He also reminded other council members that in 1983 the Common Council unanimously recommended these buildings for protection. One significant change to the proposal was pushed by Alderman Willie Wade. He worked out an agreement with Jackson Street Management LLC. to a meet a level of EBE and RPP requirements on the project, following the pattern of the M.O.R.E. ordinance. The appeal was approved on a vote of 13-2, with Alderman Bob Bauman and Kovac voting against the appeal. Also included in approvals at the January 19th 2011 Common Council meeting was an approval for the land sale and zoning for Greenwich Park Apartments. The $8.5 million apartment building, located near N. Farwell Ave. and Thomas St., will be 5-stories tall with 54-units, ranging from studios to 3-bedroom units, and include approximately 100 parking spots, of which 48 will be available for the general public. This approval will allow Mercy Housing Lakefront, the project developer, to apply for WHEDA tax credits to assist in funding the project. With these approvals in place, and likely support from Mayor Tom Barrett, both projects appear to be poised to break ground this year. How does a 200 room hotel create 200 permanent jobs? That is 1 job per room. Are they going to have personal attendants for each room, or personal housekeepers for each room? Matthew, I believe it was 175-200 but don’t forget that hotels are employing people 24hrs a day, and employees typically work 8hr shifts. You also can’t forget in addition to front desk, maintenance, cleaning, and others there is likely to be a food service operation and I wouldn’t be surprised if it had some sort of restaurant or bar in it. There is a lot of work involved in keeping a $50m building with 200 rooms occupied or ready to be occupied. Good to see these projects go forward though. It bears repeating. Compare the path these two projects took. One respected the process, worked with neighbors, the city and other stakeholders and came away with a workable and acceptable project. The other used a highly regrettable PR program of intimidation and open disrespect for the system. I’m happy that the hotel is creating jobs for the citizens of the City of Milwaukee and Mercy is building housing that these folks can afford on the wages Marriott is likely to pay. And let’s not worry about the Historic significance of the buildings they are tearing down. The owners of these buildings are being rewarded for their neglect. The new building will be in place for a few years and, like sports stadiums, it will “outlive” it’s usefulness and some other ugly, cheap utilitarian building will take it’s place which will give way to… Well you get my point. We will forever have the current buildings available to us as images in the dusty files in libraires and museums.